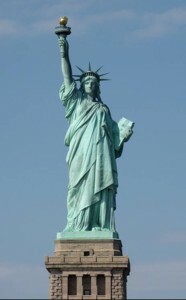 The Statue of Liberty has an amazing history. The idea for such a monument was first conceived in 1865 at a dinner party in France just after the end of the US Civil War. It would be the biggest man made monument in the world at that time and it would be a monument to an ideal, not to a famous person. Originally, it was hoped that the idea would get traction and it would be able to be presented to the citizens of the United States on the 100 year Anniversary of our Declaration of Independence. Alas, the unsettled nature of French society after repeated wars and the western expansion and industrial revolution in American society kept interest and fund raising enthusiasm tamped down. And yet, a core group of key leaders persevered and after 20 years of effort, the Statue was dedicated on October 26, 1886. This was a remarkable feat. 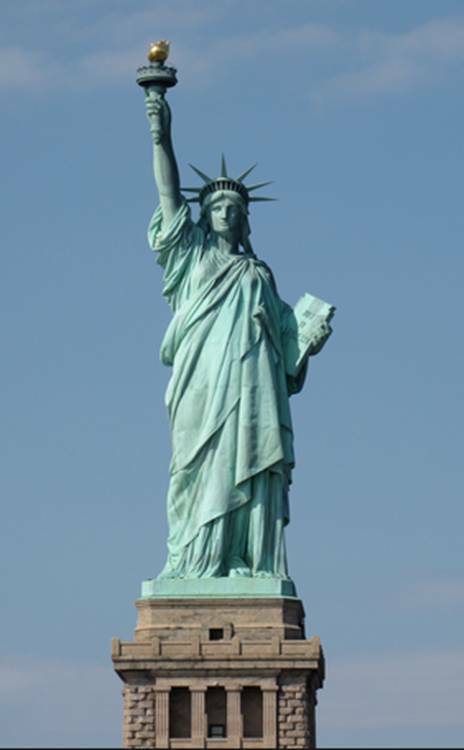 But what is lost on most Americans and Foreign friends alike is the deep symbolism and meaning of the Statue. An understanding of these truths will revolutionize the way you look at Lady Liberty and look at your role in being a student of liberty and spreading the ideas of liberty to all who might listen. © 2019 Christian Civics Training.